APAC Caballos Rescue Horses – Association Protectora Amigos del Caballo, set up to defend & protect horses and offer a second chance by adoption. Due to your kind support and donations we are able to help and save the kind of horses in distress that we are now seeing throughout Spain due to the economic crisis. Many of the horses we are now helping are older who need to retire from working in riding schools, with lameness or health problems and having served their purpose are no longer needed by the school and are therefore of no further use. The others are because their owners have fallen on hard times and cannot provide the food and care needed for their horses. We are also finding there are many horses who are unfed, neglected and unseen, left in stables on private land to starve to death, hidden away from the public eye. We aim to rehabilitate all of these horses, easing them into a new life of relaxing, no stress and the freedom of a paddock to walk around in, living in a herd where possible and with lots of food. Please follow our Pages on our FaceBook – APAC Caballos, APAC Caballos Colaboradores & APAC Protectora Amigos del Caballo for updates about our horses and our work. 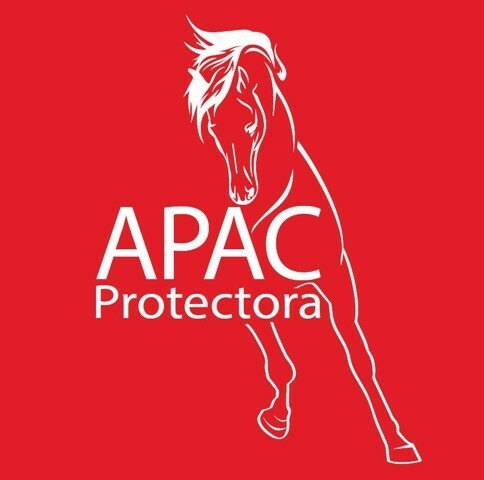 You can also subscribe and follow our horses’ progress on our YouTube Channel – APAC Protectora de Caballos or Follow us on Twitter at APAC Caballos @juleswjones.